Some lawyers sign up lots of clients but don’t stay in contact. Not us. Our promise is if you choose to hire us, you’re going to get us. We keep our client list small so that we can devote our full financial resources and full attention to every client. When you hire our firm, insurance companies pay attention. Some lawyers are settlement-only lawyers. Not us. When we accept a case, we build for trial. Our dedication to hard work and aggressive representation has resulted in large jury verdicts and significant seven-figure settlements. OUR COMMITMENT TO EXCELLENCE HAS EARNED US A STELLAR REPUTATION. 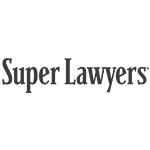 Super Lawyers consistently recognizes us as "Rising Stars," an honor given to just 2.5% of all lawyers. 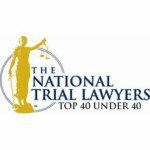 The National Law Journal has placed us among its "Top 50 Elite Trial Lawyers." 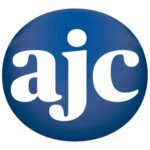 In 2018 the Daily Report listed us as in its top 20 "On the Rise." WE ONLY GET PAID AFTER WE WIN. If we don’t win your case, you don’t pay us. We will review your case for free, and then represent you on a contingency fee basis which means we get paid a percentage of the money we win for you through settlement or trial. Injuries and death are a tragic part of life, but oftentimes are preventable. Preventable injuries, or worse, death, that result from the careless or negligent conduct of another person has consequences. Personal injuries have a devastating impact on the victim’s life. 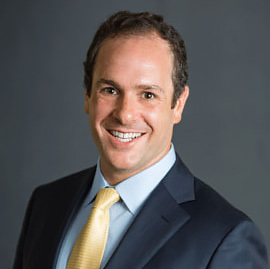 Our Atlanta personal injury lawyers help injured victims, as well as surviving family members who have lost a family member to wrongful death, recover from their losses. We represent people, not insurance companies. 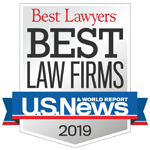 As experienced and talented Atlanta injury lawyers, we deliver outstanding results for the men, women, and children we help. Our Atlanta accident lawyers do everything within our power to help our clients focus on rebuilding and moving past their suffering. 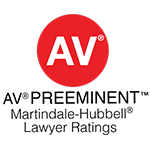 Our Atlanta personal injury lawyers put our clients first, every day. We promise to treat every client with respect, compassion, and kindness. The number one complaint about lawyers is that lawyers don’t return calls. We never let that happen. Our clients have direct access to the team they hire. We regularly call and email our clients with updates and news about their case. By spending quality time with each client, we get to really know them and understand how their injury has affected their life. The reason we are able to spend as much time as we do with each client is because we deliberately keep our caseload small. Our experienced personal injury team has worked on cases that resulted in high six-figure and seven-figure verdicts and settlements. The reason we achieve the results we do is because we build our cases for trial. We build our cases for trial the day we meet our clients. Insurance companies know which lawyers are willing to take a case to trial and which lawyers are scared of courts. And the insurance companies use that knowledge to lowball some lawyers. Not us. Our personal injury team takes cases to trial, and we win. Many of our cases are referred to us by former clients. 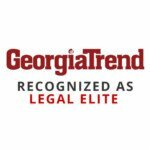 We also get cases referred to us from other lawyers in Georgia and in other states. The lawyers who refer their cases to us do so because they know we will take the case to trial if the insurance company does not pay a fair settlement. While there is no calculation to determine just how much someone’s case is worth, what we have found to be true is that by outworking, outthinking, and outpreparing the insurance companies and their lawyers, we win big results for our clients. A car accident happens in the blink of an eye. Recovery, however, can take years. We’ve helped hundreds of families rebuild on the road to recovery. Apartment shootings, grocery store knockdowns, and dog attacks are examples of premises liability. It takes a special skillset to know what evidence to gather to build the case. Based on their size, trucks can cause devastating accidents. Special federal rules apply in truck accidents; we know which laws apply and how to pursue them. Injuries change people physically and emotionally. When our clients get hurt, we work hard to help our clients rebuild and recover. Motorcyclists have the same rights as other drivers; the only difference is the lack of protection. When we step in, we provide riders that protection. Preventable death is the worst nightmare. While we can never undo a loss suffered, we can try help ease the pain by holding the responsible parties accountable. "We treat our clients with the compassion, respect, and kindness that we would want for our own families." Darren Tobin was my first choice and by far the best choice! I was a victim in a car accident and went with Darren at the advice of my girlfriend’s dad. He met with me in person over coffee and gave me his cell phone number the minute we met. Darren fought for me. When I thought I wasn’t going to get much after my accident he found ways to get me paid and taken care of... I didn’t have to worry about a thing, I knew I was in good hands. His kindness, sincerity, and trustworthiness made this terrible course of events a lot more bearable. Darren was an excellent lawyer and an exceptional human being. We would definitely refer him to anyone! This man and his team seek justice, not just a paycheck. The care, diligence, and expertise Darren displays is superb. You'd be doing yourself a favor seeking counsel from Darren. We have two fundamental goals. First, we work to help our clients rebuild. Second, we work to change the system. Rebuilding a life means having the resources needed to recover from an injury. We know that compensation does not mend broken bones, but it does pay for medical treatment that promotes healing. If you are hurting from an injury or grieving the tragic loss of a family member, you are not where you want to be in your life. Long after the accident, you are left still picking up the pieces. All because someone else made a bad decision. No amount of money makes pain go away, but when we get hired we work hard to rebuild your quality of life. In addition to helping individuals and families recover fair compensation they need to begin rebuilding on the road to recovery, we work to change the system. We hold businesses accountable for their misconduct. When we file a lawsuit, our clients know that they are making our state a better place for not only themselves but their neighbors. Too often businesses put profit ahead of safety. When an individual is attacked at a business because that business failed to provide adequate security, filing a case is a good way to convince the business to put the safety of others ahead of its profits. We force companies to fix what they have done, or fail to have done, so that other people won’t get injured. Q. 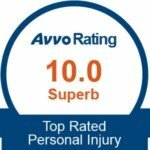 What are Personal Injuries? A. Any harm to a person’s body or mind that is caused by another person or business is a personal injury. Personal injuries are generally compensable when they are caused by a deliberate, reckless, or negligent act. That means that when someone, or something, causes you an injury, you can collect money from that person or company. That is typically done by pursuing a case against the person or company’s insurance policy. Most personal injury claims involve physical injuries, such as broken bones, torn muscles, brain damage, spinal injuries, or disfigurement. Painful physical injuries are typically accompanied by emotional injuries, including anxiety, depression, and loss of enjoyment of life. Most people think of the latter as “pain and suffering.” Pain and suffering is real and we make sure our clients get fully compensated not just for their physical injuries, but for the pain and suffering they experienced as well. Some personal injuries cause long-term or permanent disabilities. 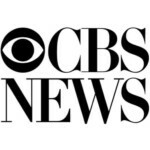 Injury victims may need wheelchairs, artificial discs to replace damaged discs in their spine, vocational rehabilitation, and other costly measures to cope with a disabling injury. Even when an injury completely heals, however, it may produce months to years of suffering, as well as financial insecurity from lost wages and mounting doctor’s bills. Our injury law firm makes sure that every medical cost and need is addressed. Q. What is Compensation in a Personal Injury Case? A. Personal injury compensation is meant to restore an injury victim’s ability to live the same life the victim enjoyed prior to the injury. Compensation might be needed to remodel a home to make it wheelchair-accessible or to provide job training for a victim who cannot resume former employment. Compensation should replace lost wages and pay past and future medical expenses. Compensation can also help restore the quality of an injury victim’s life. We work closely with our clients and their doctors to identify the ways in which their lives have been affected by injuries. We interview co-workers, meet with treating medical providers, and hire experts so that we can make sure we obtain full compensation that will help our clients get their lives back on track. Q. 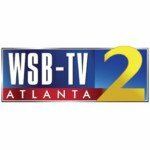 What Is Wrongful Death in Georgia? 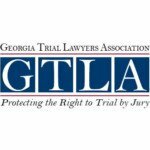 Georgia law defines a wrongful death as any death caused by another person without legal justification. A wrongful death can be caused by intentional, reckless, or negligent conduct. In addition to the wrongful death claim, the deceased’s family usually brings an “estate” claim. The estate claim is related to the wrongful death claim, but the compensation is different. While the wrongful death claim is for the “full value of the life”, the estate claim is for the victim’s medical and funeral expenses and for any pain and suffering the victim experienced prior to death. Q. What is a Statute of Limitations? A statute of limitations is a time limit on how long you have to file a personal injury case. The clock starts to run on the date of the injury or accident. 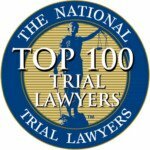 In general, the statute of limitations on personal injury cases in Georgia is two years. However, sometimes that clock can be shorter or longer. If the government caused your injury—for example, if a county truck caused your accident—then there can be an earlier deadline called an ante litem deadline. That clock could be as short as six months. Sometimes, the two years is longer. If a criminal prosecution could have been brought against the person or business responsible for your injuries, the statute of limitations can be tolled (paused) for the duration of the prosecution, up to six years. O.C.G.A. § 9-3-99; Harrison v. McAfee, 338 Ga. App. 393 (2016). If the victim is a child, the statute of limitations does not begin to run until the child turns 18 and then the child is no longer considered a “minor” and has 2 years. We represent clients across the state. 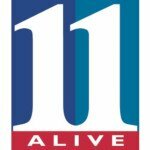 We even will sometimes accept clients who live outside of Georgia but have a family member who died in Georgia. We have traveled across the country to meet with our clients and their medical teams. We help victims who are hurt because someone, something, or some business made a poor decision that resulted in harm. Most of our clients need surgery, but because no two human beings are the exact same it means no two cases are the exact same and we therefore sometimes work on other cases where surgery is not necessary. We always offer a free consultation; we invite you to call us or email us and tell us about your case. While we try and help as many people as we can, we promise that if we can’t take your case, we will try and help you find another good lawyer who can help.